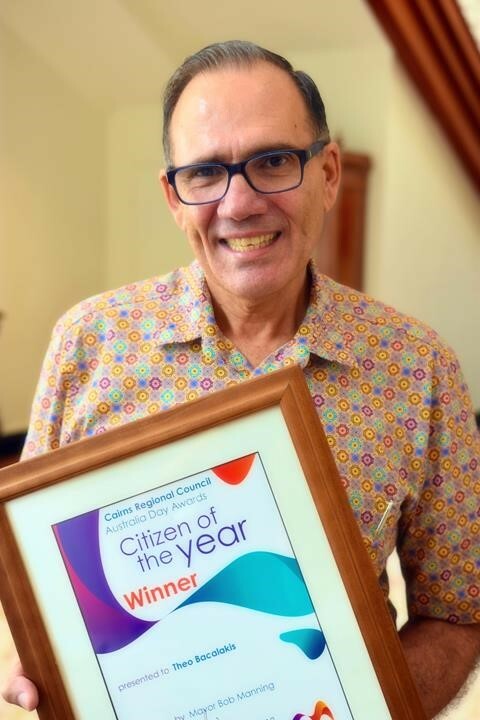 It is with great pride and honor that our Chairperson accepted the award (Citizen of the Year) on behalf of all of our valued and dedicated staff, clients, volunteers, board members and supporters. Congratulations to each and everyone of you for the continued contribution to the wonderful organisation that is St Johns community Care. The driving force behind St John’s Community Care since its establishment more than 20 years ago, Theo Bacalakis has led the growth of the organisation. Having started as a daycare centre in 1996, St John’s Community Care now also offers aged care, respite, disability support, multicultural support, housing assistance and transport services. The organisation’s reach has expanded into the Torres Strait, Townsville and Brisbane, employing more than 370 staff. But at the heart of this now large not-for-profit organisation is Theo’s original objective to simply help those in our community who are in need of assistance. Theo has readily given his time and energy to ensuring the ongoing success of the service.